charcters from the game. (Left to right) Isaac Clarke,Jennifer Santos,Austin Buckell,Ellie Langford,Captain Robert Norton and Sergeant John Carver. The story follows Isaac Clarke and John Carver as another necromorph outbreak has occurred. Isaac is pressed back into action when he is met by John Carver and Captain Robert Norton while in hiding. Norton tells Isaac that Ellie Langford is missing in action while on a recon mission to the distant planet Tau Volantis to investigate the possible source of the necromorph outbreaks. Isaac along with John and Robert escape the Horizons lunar colony narrowly as a man by the name of Jacob Danik,a leader of a unitoligist cult is out to kill and stop them from ending the necromorph outbreaks as he believes that the necromorphs and the notorious markers previously encountered are divine and humanities destiny. When Isaac finally meets up with Ellie Langford and her crew Ellie tells Isaac that she has apparently found the source of the necromorph outbreaks. She explains to Isaac that Tau Volantis hides all of the answers which they are looking for. This is confirmed when Isaac and John Carver come across a map of a machine which Isaac says was created by the natives to freeze the planet of Tau Volantis to stop a necromorph outbreak which happened on the planet. Isaac and the group proceed to find a broken and disused shuttle called the Crozier hidden in one of the bigger ships in the flotilla called the CMS Terra Nova. Isaac uses the shuttle to get to the surface of the planet which crash lands upon entry. 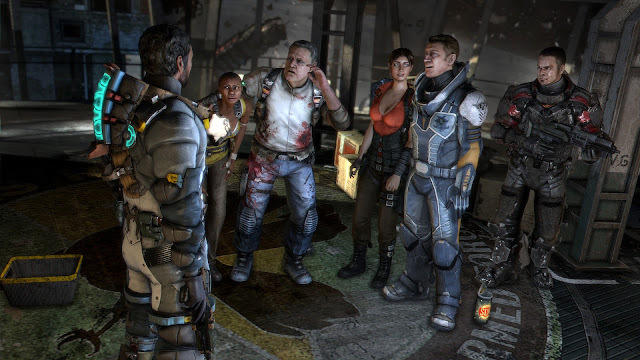 Isaac regroups with the team to find a creature called the nexus which will show the location of the machine which will stop the necromorph outbreaks. Jennifer Santos explains to Isaac that in order to find the location of the machine he must probe the neural pathways of the creature. Isaac succeeds and climbs a series of treacherous cliffs to reach one of the main S.C.A.F science facilities to find and assemble rosetta. An alien cut up into several pieces which Isaac must find. After Isaac assembles the pieces they merge together to form the codex. Isaac receives a vision from when the aliens used the machine to destroy Tau Volantis by crashing its blood moon which is revealed to be alive and be the source of controlling the necromorphs. Isaac finds out that the machine was never fully turned on hence the heavily used phrase throughout the game"Turn it off". Isaac and John Carver travel to the depths underneath Tau Volantis to find this machine and turn it off to complete its process and destroy the moon. Isaac is once again pursued by Jacob Danik and his followers which Isaac loses the codex to. Isaac recaptures the codex in an ensuing fight on a balcony. Isaac continues to travel through the alien city to realign a series of large statues which will activate the machine. Isaac,John and Ellie all reunite and encounter Jacob Danik for the last time. John exchanges the codex for Ellie's life and Jacob turns on the machine to finish its process. Ellie escapes,Jacob is impaled and Isaac and John battle the final boss of the game which is the blood moon. Isaac succeeds and destroys the moon by making it crash into the planet. Ellie escapes on a unitloigist ship and Isaac and John are presumed dead. After the credits Isaac can be heard saying Ellie signifying that he's still alive. In my opinion the story is layered good with interesting characters and a believeable storyline compared to that of the previous games. I like the new story and it mixes into the original story with new characters well. The gameplay is stiff but smooth. The added abilities to roll,duck and cover give great robustness to the controls of the character. This also helps greatly when killing more advanced types of enemies since necromorphs can become detached from their own bodies and spawn tentacles. The addition of the new bench system allows the complete customisation of weapons. This time instead of just upgrading weapon nodes you can upgrade a weapons circuits and add attachments such as stasis amplifiers and increased explosion radius. 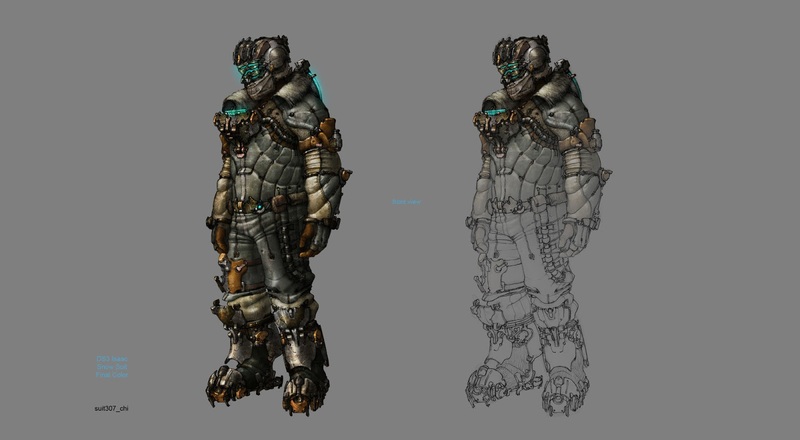 The new snowsuits and armored suits offer increased protection against the freezing cold and necromorph attacks. Each suit you unlock offers different features such as kevlar armour and woven nano fibers. The suits also have their own look and unique styles which is cool. In my opinion the abilities to create your own weapon from scratch and wear different suits at any point in the game adds more fun and diversity to the game play and controls of the game. An artistic perspective of Isaac Clarke's snowsuit which he uses to explore Tau Volantis. This suit is also needed for survival as there are freezing temperatures there. The graphics of the game look pretty good with the textures of not only the guns and suits but the ships looking like real metal and fabric. The elements such as the snow and wind on Tau Volantis look just like real snow and wind and just like it would behave also. The likeness of the necromorphs is also quite good with not that many changes to the creatures from the original game. The likeness of the suits is also good with E.A making reference to the original game with the addition to the engineer suit in the suit kiosk. In my opinion the graphic are top notch with very few graphical errors or rendering issues. The soundtrack in the game is pretty cool with loud bass and drum and horn instruments giving the impressions of danger when encountering enemies and impressions of victory with higher tones than those when encountering enemies. 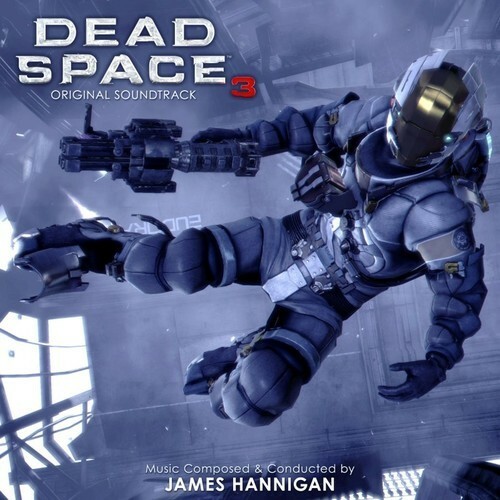 Since Dead Space 3 is more action based rather than horror the soundtrack kind of kills the scary atmosphere we are all used to with previous dead space games and uses faster notes and sounds of urgency by speeding up how fast the notes are played. The songs played at the end of the game however are slightly different and employ more drum and guitar based instruments but is stand alone from the games soundtrack. A poster of the game featuring Isaac Clarke as he stares toward Tau Volantis from the flotilla above. 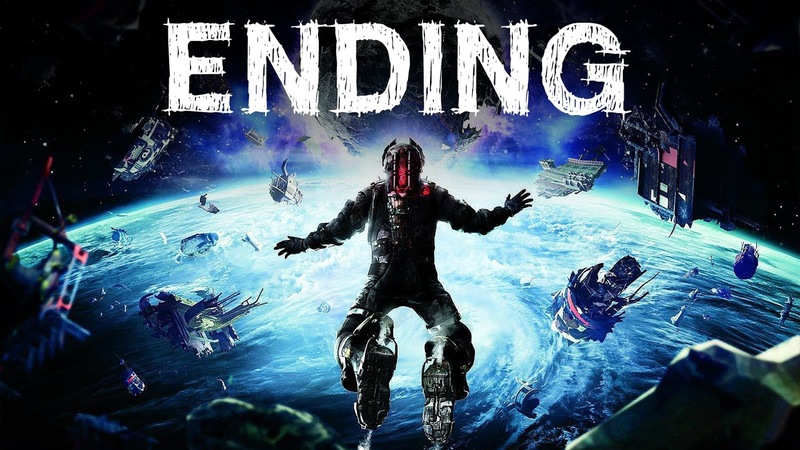 In my conclusion the games sits well with regards to its good graphics and more than good storyline which encourages the player to listen attentively to what is happening to figure out what is going on. 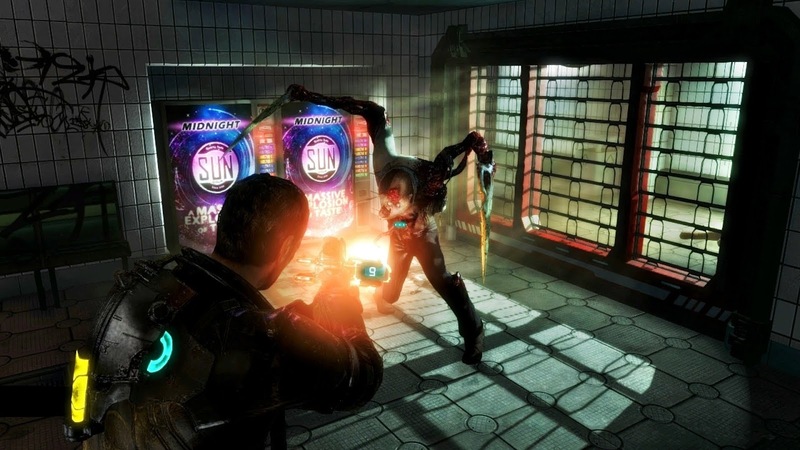 The gameplay is far improved from the original game and the sequel with the addition of the new bench upgrading system and suit kiosk and elimination of the virtual store. The ability to make any gun you wish is also a huge encouragement to the player to keep playing the game beyond completing the main storyline. The replayability of the game is very good also as the game features optional missions from the main missions where the player can find and collect weapon parts and resources required for weapon building and also explore areas of the game not possible along the main linear story. The ability of Co-op where you can play with a friend is also a big help as there are optional missions specifically for Co-op gameplay. The add on DLC Dead Space 3 Awakened is also a reason to replay the game. This game for me is about an 8/10 for staying true and relevant to the series but also trying something new which i really like. 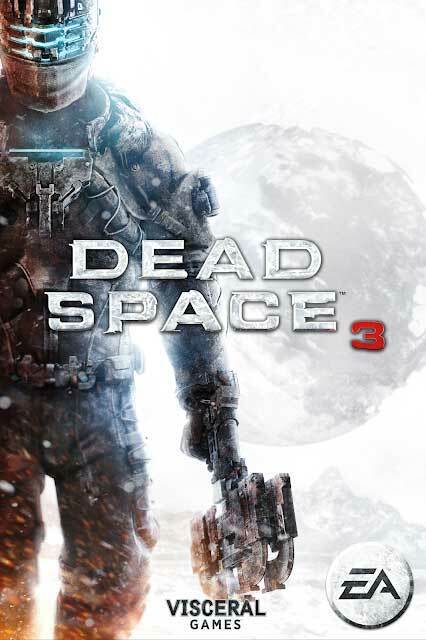 Dead Space 3 shouldn't exist.